Max Havelaar is a famous satirical novel about colonial Indonesia. 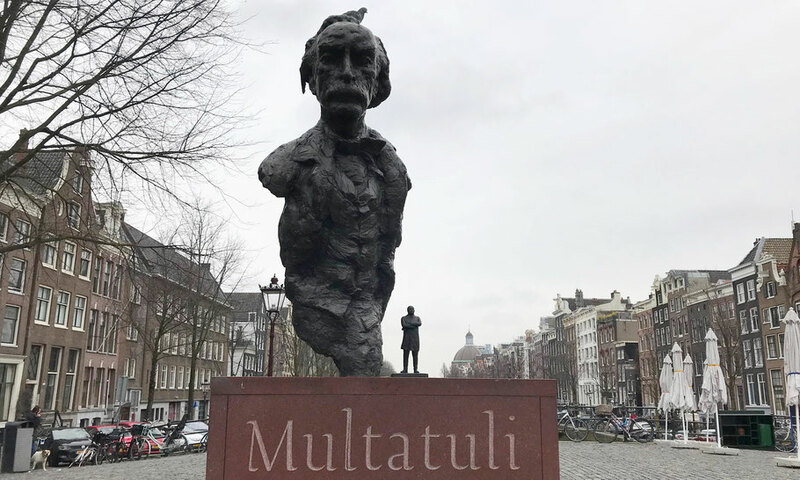 Writer Multatuli (Eduard Douwes Dekker, 1820-1887), was born in Amsterdam, and his father took him to the colony Batavia in 1839. After witnessing many issues, he started to write about the abuses of colonialism in the Dutch East Indies, resulting in the novel Max Havelaar in 1860, where the protagonist, Max Havelaar, tries to battle against a corrupt government system in Java. 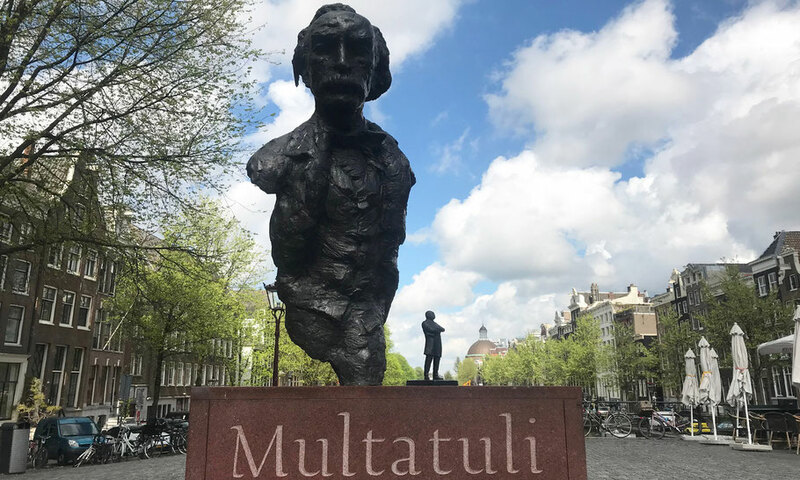 In June 2002, the Maatschappij der Nederlandse Letterkunde (Society of Dutch Literature) proclaimed Multatuli the most important Dutch writer of all time. The statue by Hans Bayens was revealed by Queen Beatrix in 1987 to mark Eduard Douwes Dekker’s 100th anniversary, and is located on Torensluis, in Amsterdam's city center.